With a North American tour and festival performances in Japan and South Korea on the horizon, it’s safe to say that Drenge brothers Rory and Eoin Loveless aren’t in Derbyshire anymore. Emerging from the rural outskirts of Sheffield, England – home of Arctic Monkeys – Drenge forged a sound that combines punk and blues with an undertone of psychedelic shoegaze. At the same time, the band is characterized by an unfailing penchant for having fun and cracking jokes. As Drenge prepares to play Johnny Brenda’s on Sunday, June 14th, we talked to Rory Loveless about comedic music, the importance of location in a song, and running up the Philadelphia Museum of Art‘s steps. Rock On Philly: You started the tour this week, right? Rory Loveless: We’re on tour already – we’ve played three shows, I think? We’re in L.A. right now. ROP: When you play in America compared to Europe, do you notice any differences? RL: Obviously the crowds are a lot smaller, because we’re not as well known over here. I guess there’s more rock bands over here than there are elsewhere, as well. Everyone’s really enthusiastic at our shows. ROP: You’re from a more rural area of England – does coming from that kind of background affect your music at all? RL: I think so. And the way we work, as well. We kind of go about it in quite a convoluted way. I think it’s influenced by kind of relishing a struggle. It was always a struggle to get into Sheffield from Castleton… We had to get a bus with all of our instruments and stuff. It was really hard and annoying. We almost stopped doing it. I think that influenced the way we write and come up with tunes. But also, I guess it can be quite isolated living in the country, so it’s not really a scene to rely on. You sort of find your own influences. ROP: Other bands from the Sheffield area like Arctic Monkeys are very full of pride to be from that area and make a lot of subtle references in their songs. Do you feel similarly and have pride about where you’re from? RL: I think we like to use a lot of imagery in lyrics, and the sense of place in songs is really important as well. It’s almost one of the most important parts of the songs – the location, or the place that is referenced in it. They’re quite personal places that really shape your thoughts. It’s not so much like that first Arctic Monkeys album was, with those references around Sheffield. It’s less specific as well. Maybe some people might guess where the songs are set, but I feel like you have to tell people. ROP: Are there any specific songs that come to mind where the setting is very vivid and important in the writing of the song? 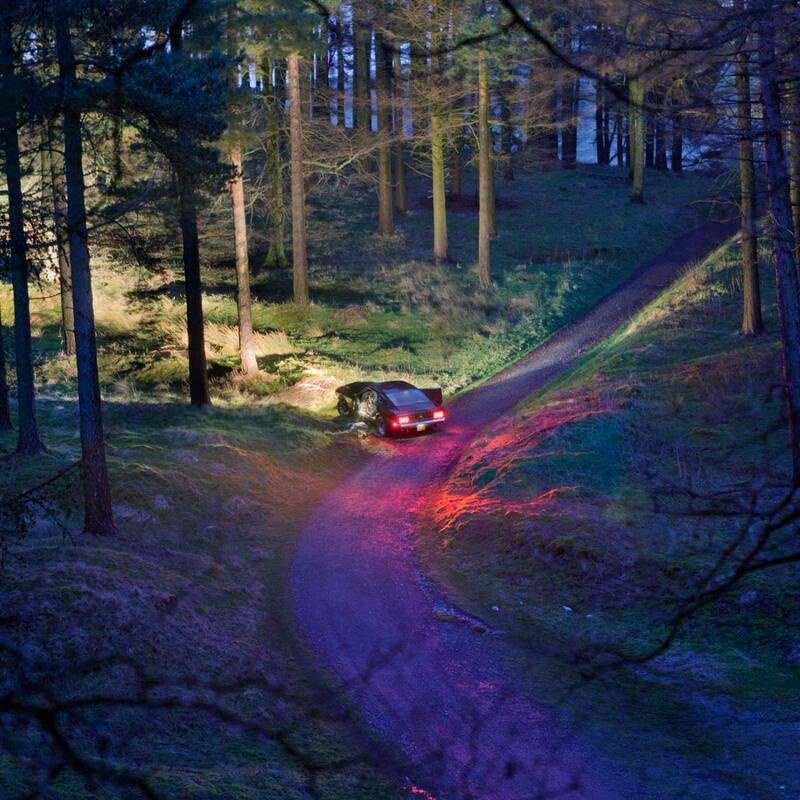 ROP: And even the album cover kind of shows that, I think – with the car in the woods. Undertow by Drenge. Photo courtesy of the artist. ROP: You and your brother Eoin [Loveless, Guitar/Vocals] grew up playing music together – did you ever consciously decide that you wanted to be in a band together? RL: We were both bored, about eleven or twelve, and Eoin was like, “Well, I want to play a cool instrument, like guitar.” It wasn’t like a serious thing. We just wrote songs and wanted to get out of the house. But we’d been playing music together pretty much our whole lives, I think. ROP: Do you have a favorite song you’ve written together? RL: Probably something from the second record, probably the most recent stuff we’ve done… It’s like, freshest. We had I think four days to write two more songs before the deadline, and we were really stressed out about it. But managed to come up with “Side by Side,” and we recorded it in four days, which was really cool. ROP: Going off of that, one of your songs is called “Favourite Son” – in your family, who’s the favorite son? RL: We’re always going to say the other one is the favorite son. You always know when you’re getting in all the [expletive]. Like, it’s happening to yourself. But there’s no favorite son. Our parents have got a pet dog, she’s like the favorite of the family. ROP: It seems like you guys like to have a lot of fun in the band – is there a conscious effort to keep the fun in music? RL: I don’t know if we consciously try. The band is an extension of ourselves. We are really, really funny people. We were almost worried that people would take some of our songs seriously, like “I Want To Break You In Half” and stuff. But we were never like, “Oh, we need to put some jokes on our Facebook page now!” It just is what it is. ROP: In DIY Magazine, you described your songs as being funny not only lyrically, but musically as well – what makes music funny? RL: I kind of cringe a little bit at rock formulas. A couple of songs on the first album are kind of influenced by dubstep music. There’s this massive drop and everyone goes mental. We found that idea really odd and funny and put it into our own tunes. And then there’s like, the intro to “We Can Do What We Want” which is this super cheesy guitar riff, which I absolutely love, and the producer [Ross Orton] was like, we can’t put that in. ROP: Do you have a favorite British comedy or comedian? RL: Alan Partridge is really great. It’s really British, and there’s probably a lot that Americans won’t get. You don’t quite understand all the references, but you still kind of get it. It’s just so cringe-worthy, but that makes it so funny. And the same guy, as Steve Coogan, does The Trip, with his British friend Rob Brydon. And it’s basically them travelling around to restaurants trying to out-do each other on camera. They’re kind of in-character playing themselves, and they do loads of impressions. ROP: Have you played a show in Philly before? RL: I can’t remember what it was called, but we played in July. I can’t remember the bar. But it seems like a nice place. I went to the Philadelphia Museum of Art as well. I didn’t realize it was the steps of Rocky. I think I had about an hour to spare, and I started running up the steps. I saw other people running up the steps as well. People started taking photos of me and I realized what I was doing. I felt like such an idiot. I’m an accidental Rocky fan. I haven’t even watched the film. ROP: Did you get to go inside of the museum? RL: Yeah! I’m trying to go see stuff when I’m out and about, especially if I’m in a different country. That said, I am sat on my bed in my hotel now. But I think it’s important to see where you are and get an idea of the place. ROP: Have there been other places on tour in America that you were really excited to see? RL: We played in San Francisco once, and I really loved that. Amazing buildings, views, and just the whole atmosphere around it is really amazing. And the first time we went to New York. There are so many films and music that have come out of that place, and you realize you’re there like where they filmed that scene for something, and you’re like, “Oh my god!” Traveling all over the world… It’s a huge honor. ROP: Is there anywhere that you haven’t played yet that you want to play? RL: We’re booked to play the Fuji Rock Festival in Japan. I’ve never been to East Asia before, so I’m really looking forward to that. Everyone who’s been says that’s a really great experience. ROP: What would you say that a Rock On Philly reader should look forward to at your show? RL: High-power trio… Extolling guitar, drums, and bass sound… With awkward British humor between songs. And that’s probably about it. You’ve got to see it to believe. Before coming out to Drenge’s show at Johnny Brenda’s TONIGHT (June 14), check out the music video for “Running Wild” below!